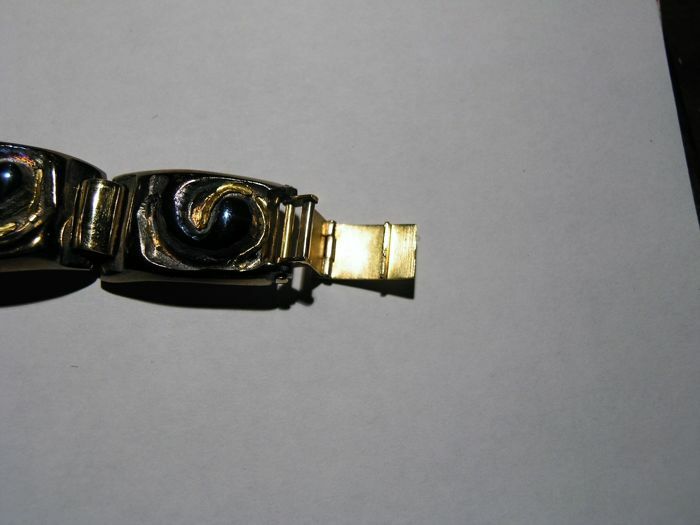 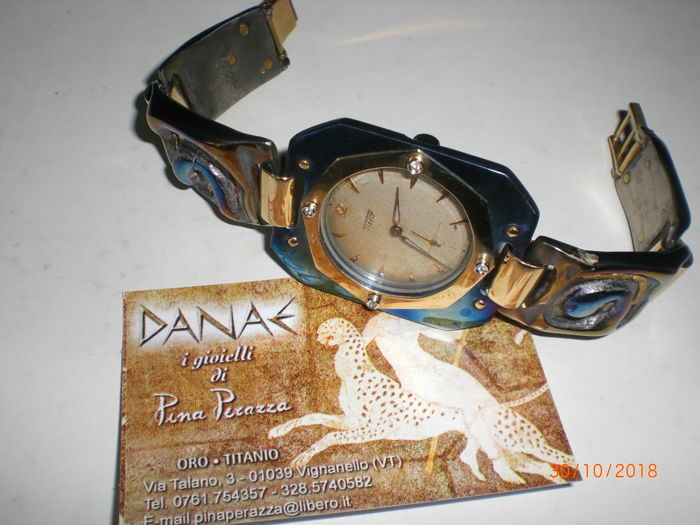 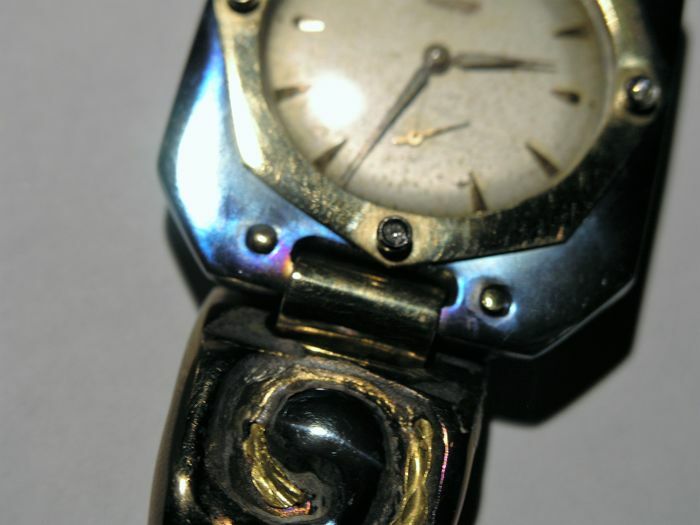 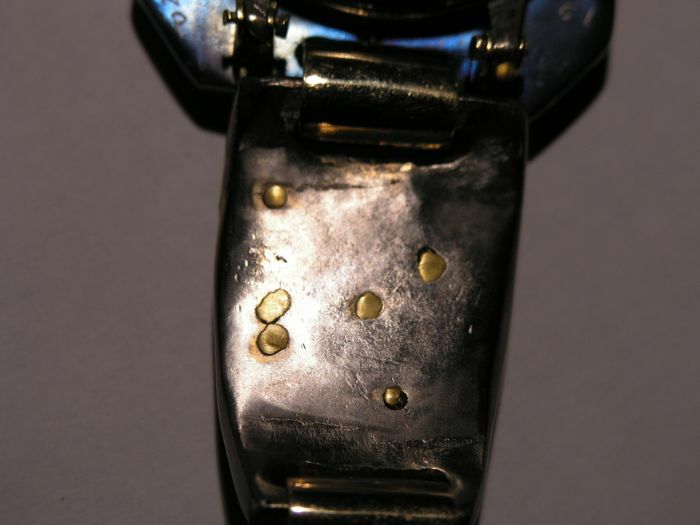 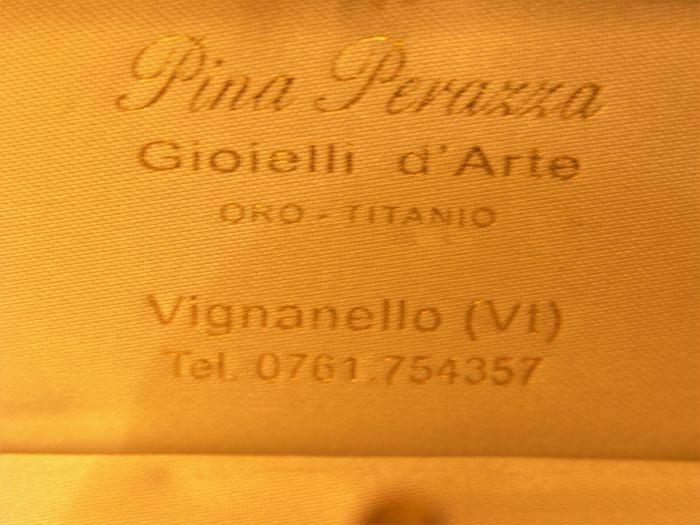 Jewel watch made by the DANAE goldsmith laboratory of Pina Perazza in Vignanello (Vierbo, Italy), in gold and titanium. 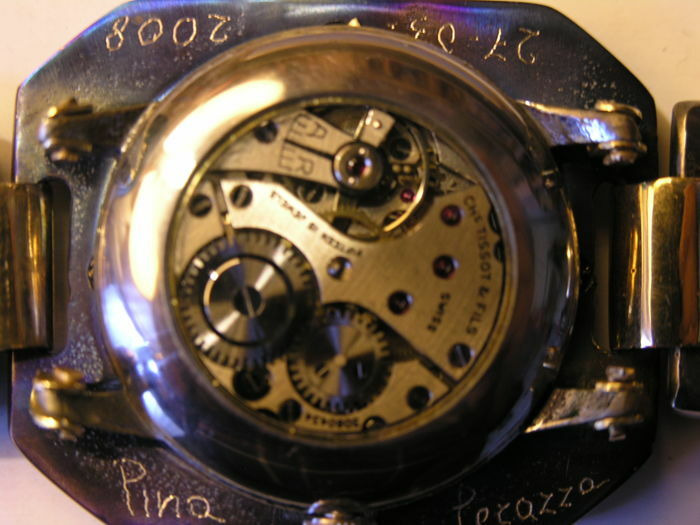 The dial is embellished with 4 small diamonds. 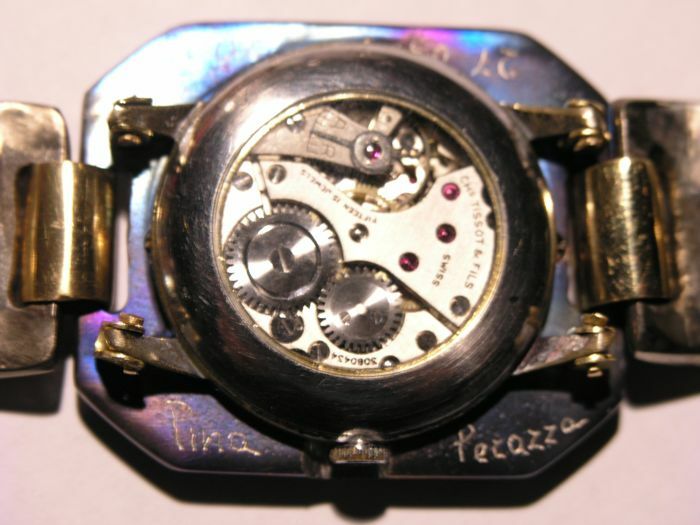 The movement is a Chretien Tissoy & Fils, from the mid 1950s. 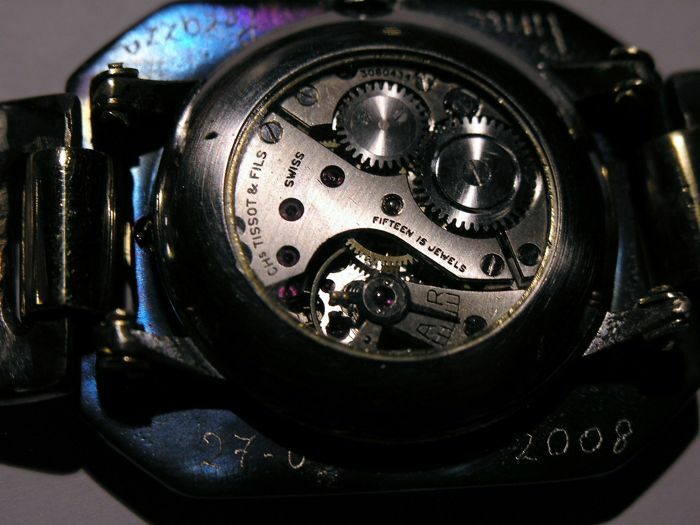 Exhibition movement. 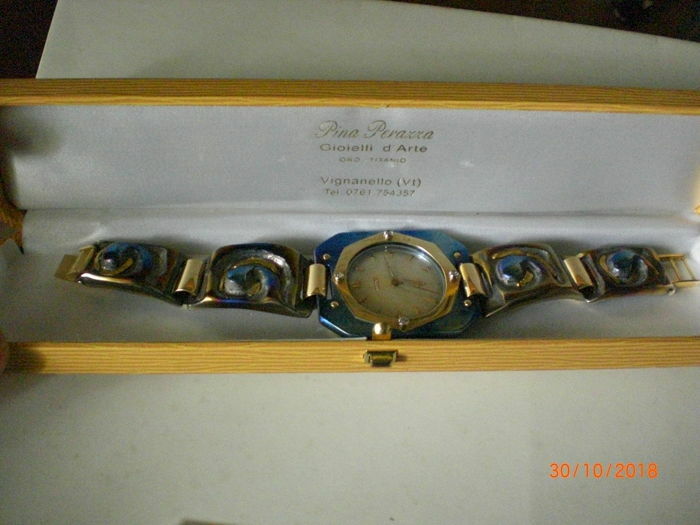 Signed by the artist, with production date. 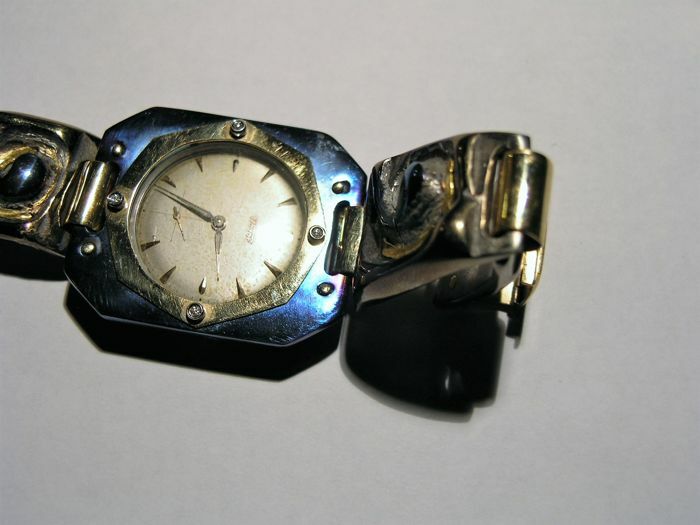 Length 21 cm, calibre 46 mm, weight 120 g, gold 40 g (the clasp, bracelet rings, crown and rivets on the bracelet and crown are in gold). 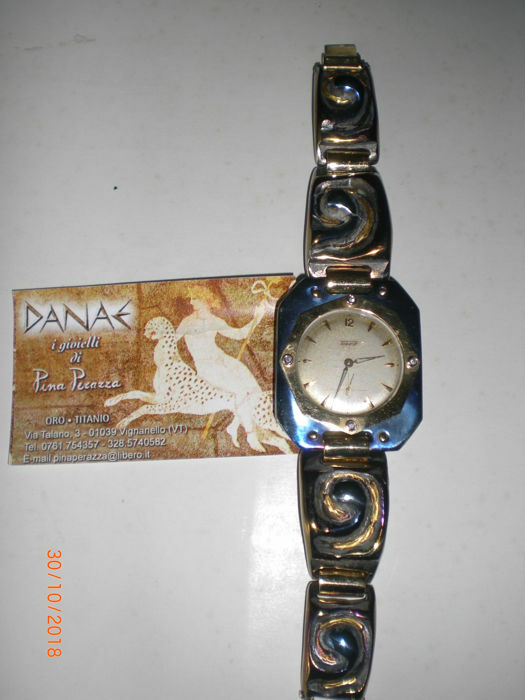 In perfect working order, never worn, complete with box from the Danae workshop of Pina Perazza. 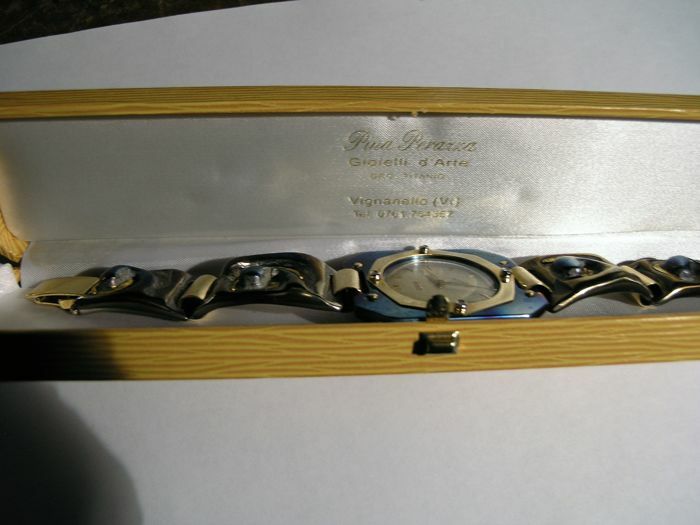 You can pick up this lot from the seller: VITERBO (VITERBO), Italy.